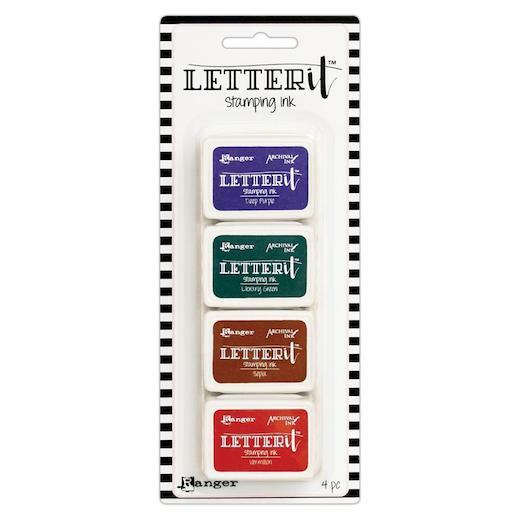 Letter It Stamping Ink Pads feature the same quality, fade resistant dye ink formula used in the Ranger Archival Ink Pads in a convenient 1.25” x 1.75” pad. Letter It™ Stamping Ink provides long lasting stamping results that are permanent on many surfaces. These ink pads provide long lasting stamping results that are permanent on many surfaces. The small size makes these inks convenient for projects on the go.